Huda Beauty is the brainchild of award-winning beauty blogger, Huda Kattan. Although she originally hails from Dubai, this Hollywood-trained makeup artist and guru quickly became an industry heavyweight after building a cult following from industry insiders and beauty junkies. She first launched the Huda Beauty Lash collection – a prestige false eyelash range – before going on to unveil a magnitude of quality beauty products. Now, she is the proud owner of ground-breaking foundations, sought-after liquid lipsticks, phenomenal palettes and 3D highlighters. Her incredible expertise and an eager eye for detail (plus her insane 25+ millionInstagram followers) have allowed Huda to become one of the most influential women in the Middle East. Not to mention, her brand is one of the fastest growing beauty companies across the globe. If you’re looking for premium cosmetics that will give you insta-worthy glam, then Huda is most definitely your go-to girl. 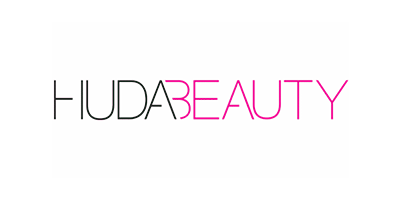 Huda Beauty is featured as one of our Top Beauty Brands of 2018.